Updated comScore analytics data published on Thursday suggests that Apple's U.S. smartphone share is still increasing in the U.S., despite the imminent arrival of new models. The iPhone controlled an average 44.2 percent of the market during a three-month period ending in July, comScore said. That's a rise of 1.1 points over the prior three months. In comparison, Samsung's U.S. marketshare dropped 1.3 points to 27.3 percent. LG rose 0.3 points to 8.7 percent, while Motorola held flat at 4.9 percent, and HTC dipped 0.2 points to 3.5 percent. Android remained the most popular smartphone platform, but saw its share shrink 0.8 points to 51.4 percent. Microsoft's Windows Phone fell a tenth of a point to 2.9 percent, and BlackBerry continued a long-term decline, sliding 0.2 points to 1.3 percent. iPhone sales typically soften in the summer as shoppers anticipate new models in the fall, and devices from competing companies take their turn in the spotlight. Sales of the iPhone 6 and 6 Plus have remained strong throughout 2015 however, something often attributed to pent-up demand for large-screen iPhones. Until late 2014, no iPhone had a display bigger than 4 inches, even as rival devices began to regularly surpass the 5-inch mark. 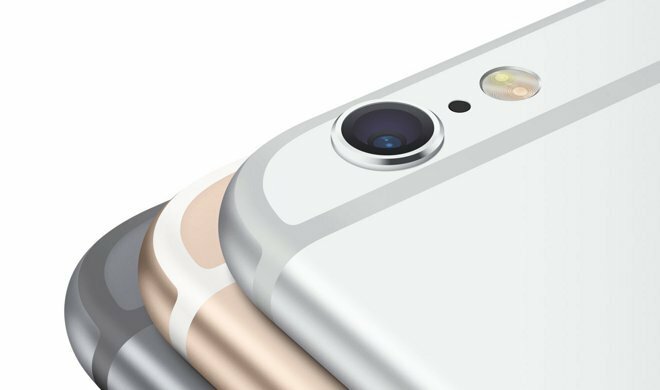 Apple is due to announce new iPhones at a Sept. 9 media event. The devices should be relatively modest upgrades, with faster processors, more RAM, Force Touch controls, and better front and rear cameras.